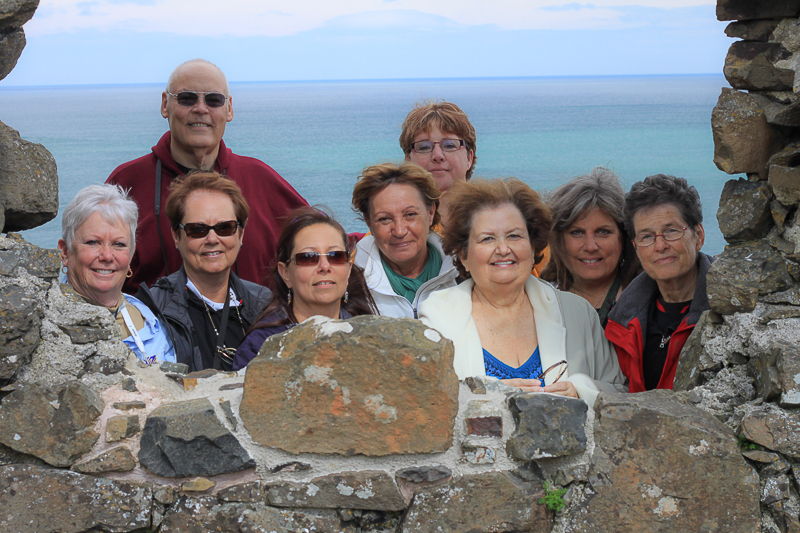 These guest reviews for Thin Places Ireland Tours are as special to us as the guests who wrote them. 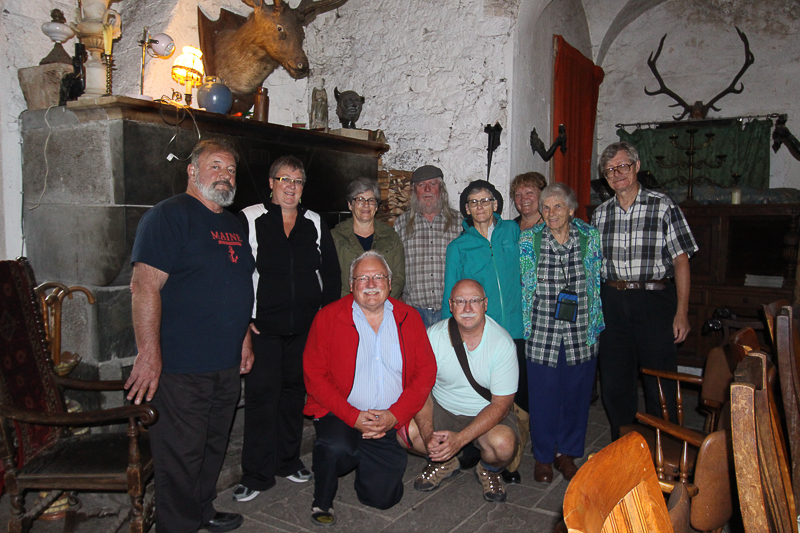 Being a guest on one of our tours means making lifelong friends with not only those on the tours but also with some of the Irish people we encounter. Read below what some of our guests have to say about their experiences on our tours. 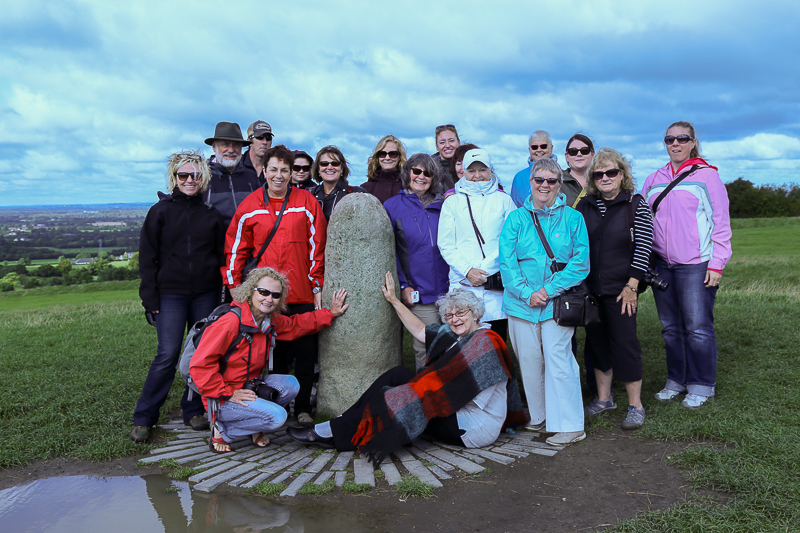 If you want to know the real Ireland, take this tour! There’s a lot to recommend with one of Mindie Burgoyne’s tours. She’s an extremely knowledgeable and capable tour guide, and when plans go awry – such as an unexpected 13-inch rain and bog slide – she can roll with the punches and come up with alternate plans that make you happier than if you’d done the original! She also relies on native-born guides and experts for a depth of background you won’t find on your average “tourist-oriented” tour. 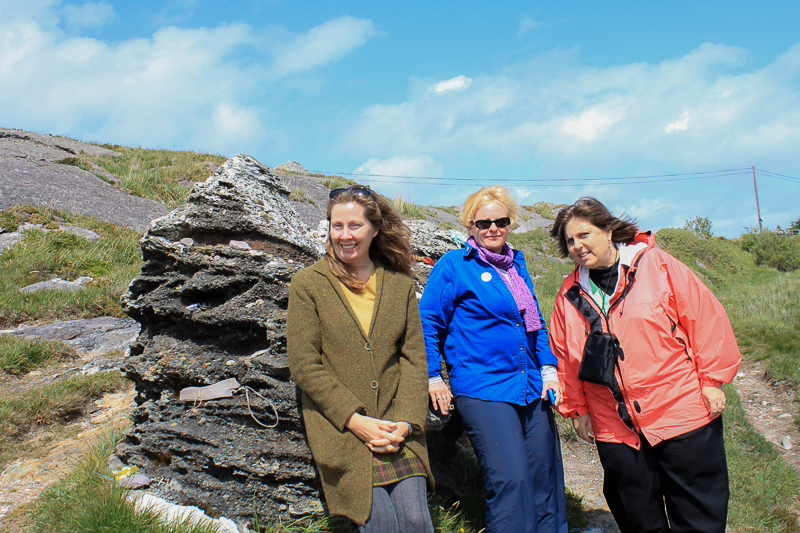 On her tours you will have the time you need to get to know the real Ireland, its land, its traditions, and its people. I came away being so proud of my Irish Heritage ! have a deeper sense of myself & my emotions & now I know why I always dreamed of sheep & rolling hills as a child…in my DNA. I felt love & peace everywhere we went and we made new friends too. Life changing, thank you for all you….it takes a lot of energy & emotion to do these trips. 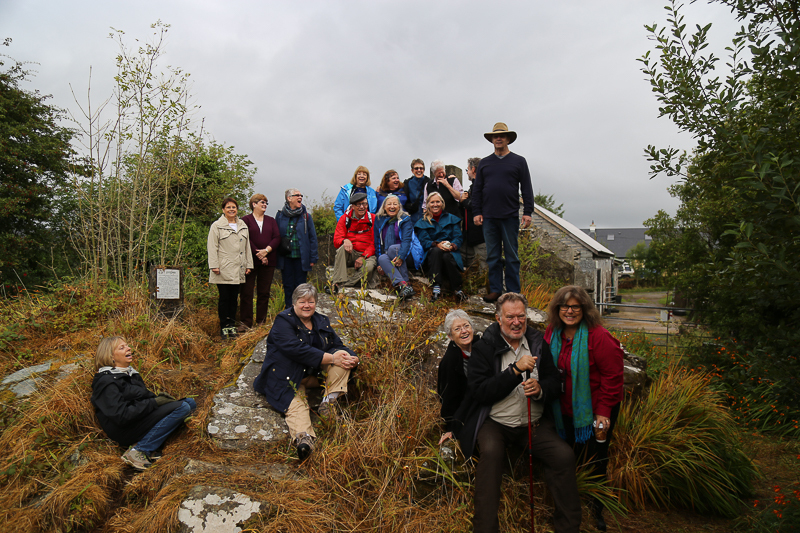 Images in the Landscape tour is about our relationship to each other, Ireland and the world. 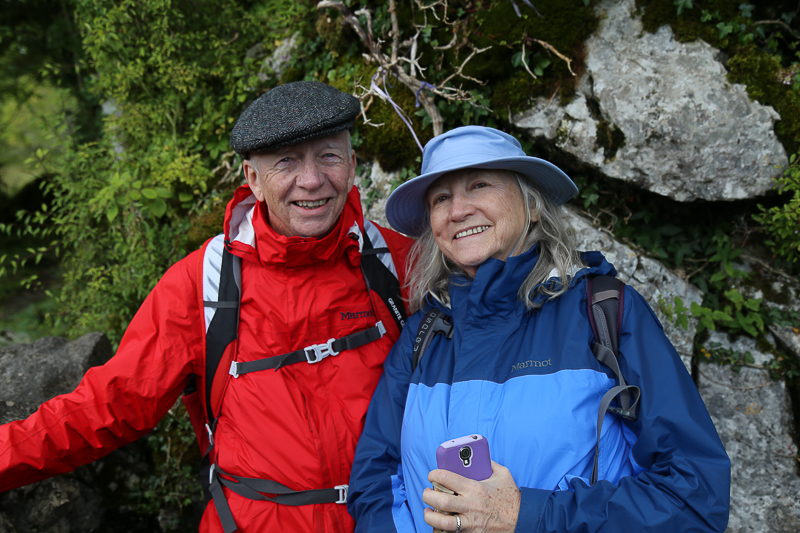 I enjoyed a sense of camaraderie with Mindie, our tour director, John, our coach driver, our guides, my fellow tour travelers and those I met along our journey. Irish people and Ireland welcome you to share in their history, their land, their customs and culture. Mindie’s love of all things Irish translates into an experience you do not want to end. Sláinte! I will never forget the beauty and the mystery of The Burren, how sacred the land felt, and how ancient. Tony not only gave us facts, he allowed us to absorb the land, its past, present, and future. And the fact that he recited poetry added immensely to the connection with the land. Another huge highlight was the concert at Hawk’s Well. To hear three masterful musicians in such an intimate setting — I went away with a whole new appreciation for Irish traditional music. All the times we walked and spent time with the land were a great experience for me. 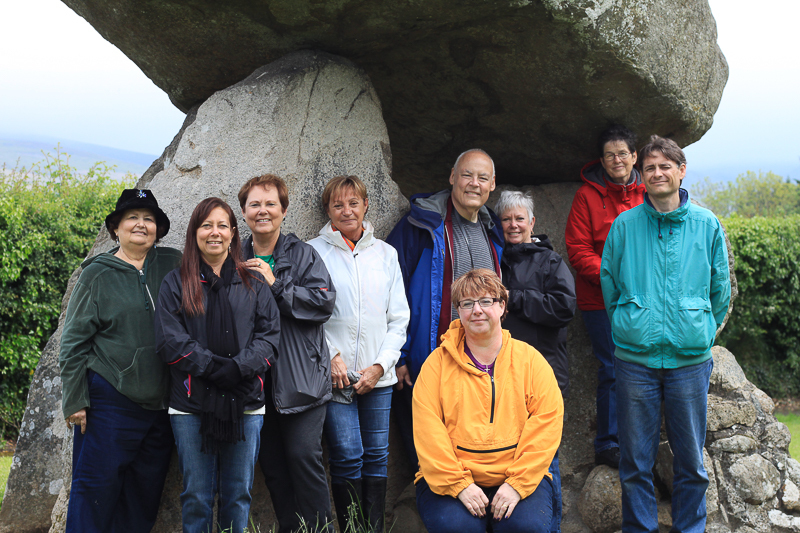 What I liked about this tour was the time we had to experience our own connection with the land, the people, the history, and the sacred energies that permeate this country. It gave me a unique sense of having one foot in the past and one in the present — and at least a finger or two in the future! 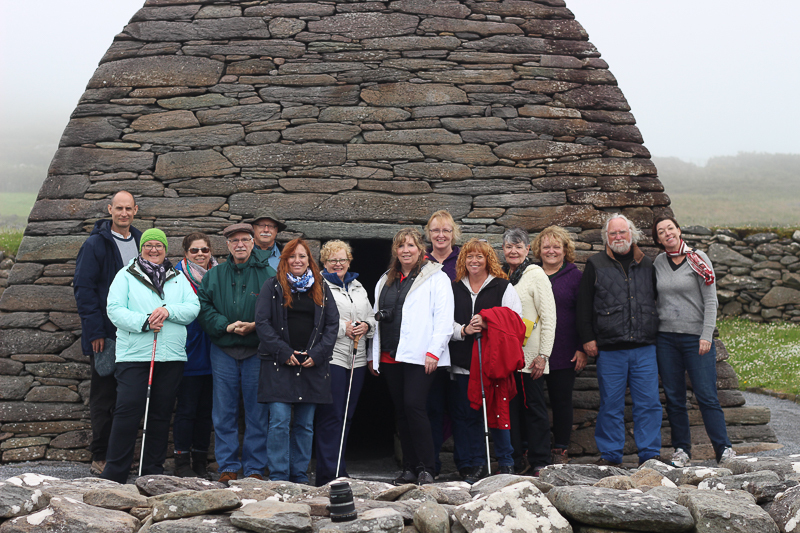 If your goal is to see and experience the quiet and magic of Irish life then this tour is for you.Every day is a new adventure in the experiencing of the ancient and contemporary places that connect you personally to the old ways that are still alive and well in Ireland.Add to that top notch tour guiding by Mindie, the best hotels and the support of John who may be the best bus driver in Ireland and you will never want the tour to end. This was my third tour with Mindie over the last four years and they just keep getting better. 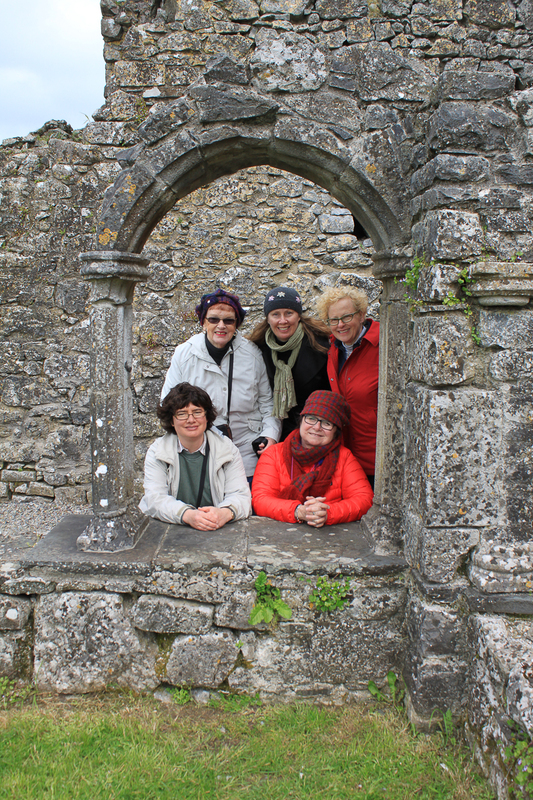 I have family roots in Ireland and these trips have made it possible to reconnect with Irish life as lived long ago as well as today. 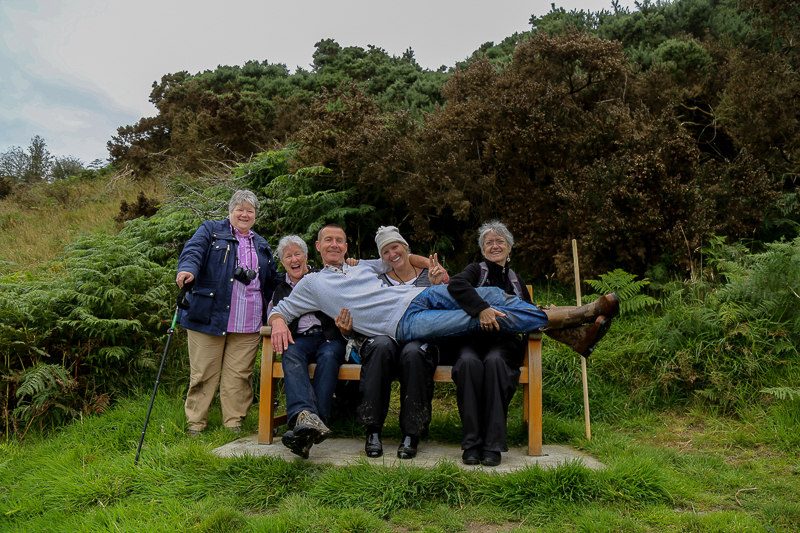 I treasure the many local guides that Mindie always uses to make every site come to life as seen by local residents. 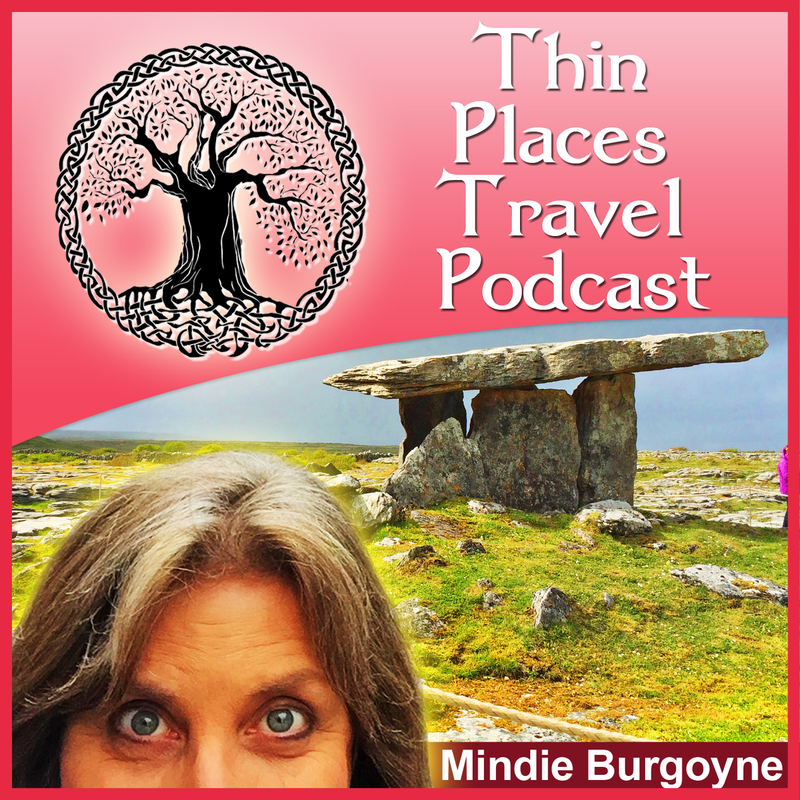 If you want the real deal on Ireland , you need to travel with Mindie on a tour of Ireland. 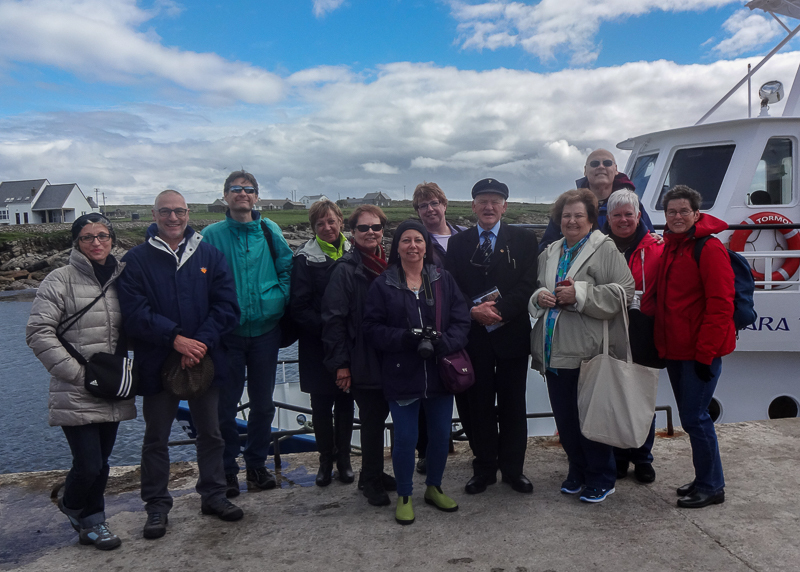 The tour package interested me because it avoided all the usual tourist sites and focused on the heart and soul of Ireland. 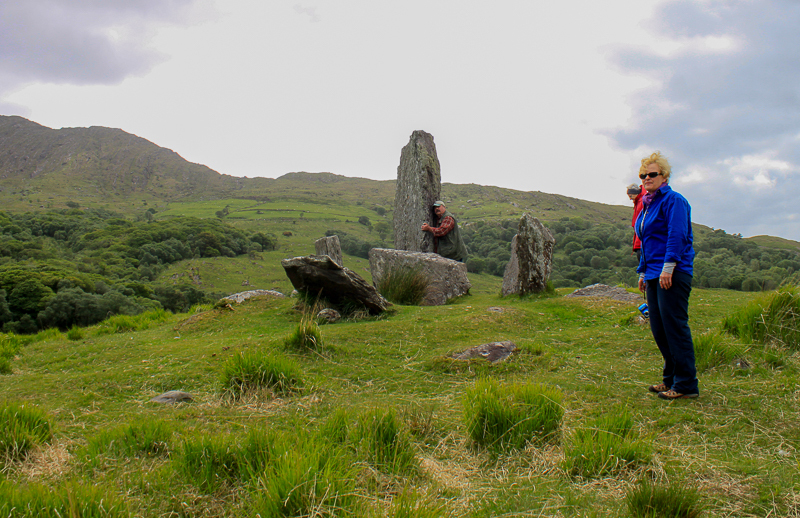 It allowed me to visit neolithic stone tombs, monastic ruins and remnants of castles. What else was unique was that these sites allow you to walk through pasture lands, climb over a fence or two and follow winding paths……sometimes the essence of the experience is not so much in the destination but rather in the journey. Bring along your open mind what you see and touch will be all the more enlightening. Accommodation and transportation was first class. Ms. Burgoyne’s small group format is the perfect vehicle to convey access to the rich Irish heritage. If you believe that personal fulfillment of trip is directly related to what you are willing to put into that trip then you will not be disappointed. The best thing about traveling in Ireland with Mindie is Mindie. And, that’s a hard thing to say: It’s Ireland, after all! It should speak for itself. And, it does. But, no matter where you are in your inner landscape, Mindie meets you there as she guides you through the outer, offering you portals through which you can entwine the two. With grounded affection, humor, and an abundance of humor, Mindie emulates the patron saint of witnessing as she companions you in your journey. The Thin Places of Northern Ireland: A thin place can be defined as that place where the boundary between earth and another dimension is especially “thin”. It has its origin in Celtic Christian devotion practiced in Ireland and Scotland since the fifth century A.D. It’s a place where we can feel the energy of the earth more readily, that unseen life force flowing through and around us. One can sense a portal or doorway from this place to the next. Mindie took a group of us to visit those thin places of Northern Ireland. What an experience! Those special places for me were: The Altadevin Forest, Malin Wee House, Beltany Stone Circle and Forest, Whitepark Bay, Giant’s Ring, and Loughcrew Gardens & Cairn. There were so many moments of transformation and healing. The restorative energy of these ancient sites is inexplicable…and real. I expected an exploration of Ireland’s monoliths, to explore on my own, and to sense the energy of these ancient ruins. Not only did I experience this, but also the energy of each person on this tour. These remarkable people greatly contributed to my own spiritual journey. They were amazing in their singular focus of exploring the mysteries of thin places and sharing their personal insights as we all progressed through the trip. Much credit should be given to Mindie for researching and putting together such an extraordinary tour. Well done!!! 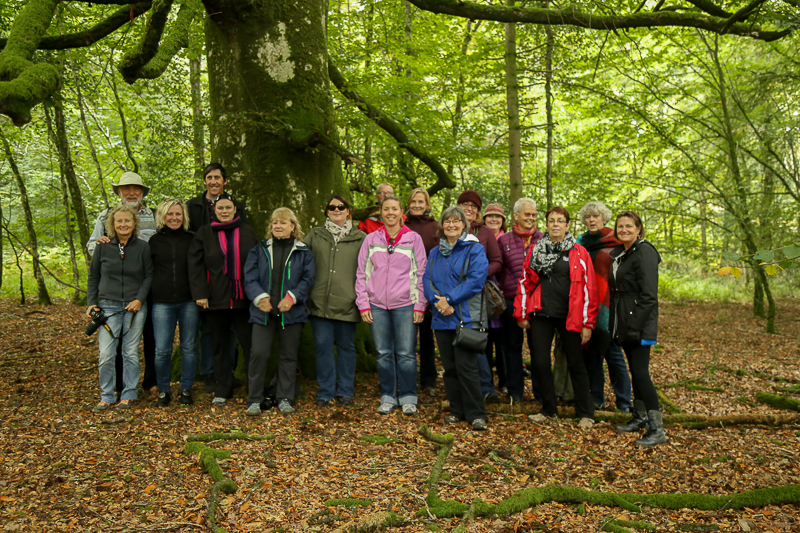 The thin places of Northern Ireland were truly mystical as I pursued my spiritual journey with a like-minded group of incredible people. In these thin places, I experienced immediate connections with Spirit that I never imagined was possible and the knowing of ancient truths was very powerful. The two places I felt these connections most strongly was in Altadaven Forest where I felt transformed by the nature spirits speaking to me and the images presenting to me. ….and, outside the gates and in Dunluce Castle, sitting precariously on a sea cliff, as our guide that day began to tell of the intrigue of this place. The absence of tourists, except for us, was phenomenal – kudos for finding the wild and beautiful North for us, Mindie. 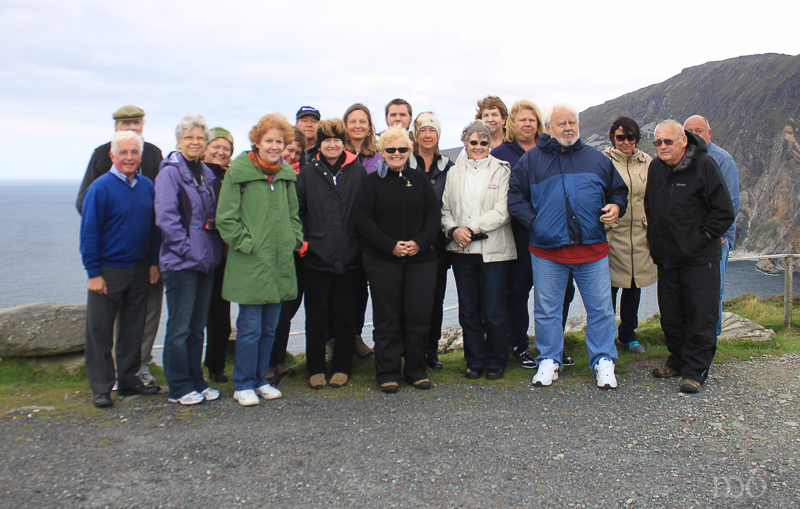 Guests from Discover the North 2013 tour at Slieve League. I went on a Thin Places tour of Southern Ireland. My favourite stop was Newgrange because it was like journeying back into an ancient mystery. The best aspect of the tour for me was the beauty of the country and the spiritual adventure that we all embarked upon together to discover it. 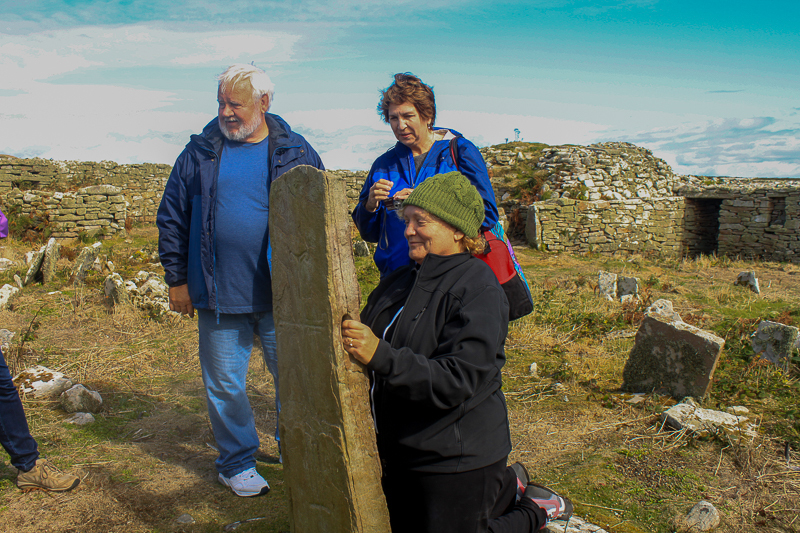 Guests on Discover the North 2013 tour on Inishmurray at the fertility stone. Mindie your guided tour is awesome. I know I couldn’t make every site but just being close made it so worth while. Everyone that was on the tour now has a special place in my heart. Everyone was ready to give me a helping hand. I feel special the King of Tory Island assisted my walk. Thank you again for an awesome trip to such beautiful waters and green pastures. I went on the Thin Places tour that covered the south of Ireland . My favorite stop was Hoare Abbey because of its beautiful and haunting setting, in the shadow of the Rock of Cashel, evoked such a strong sense of time passing and the lives lived in its now-crumbling walls. 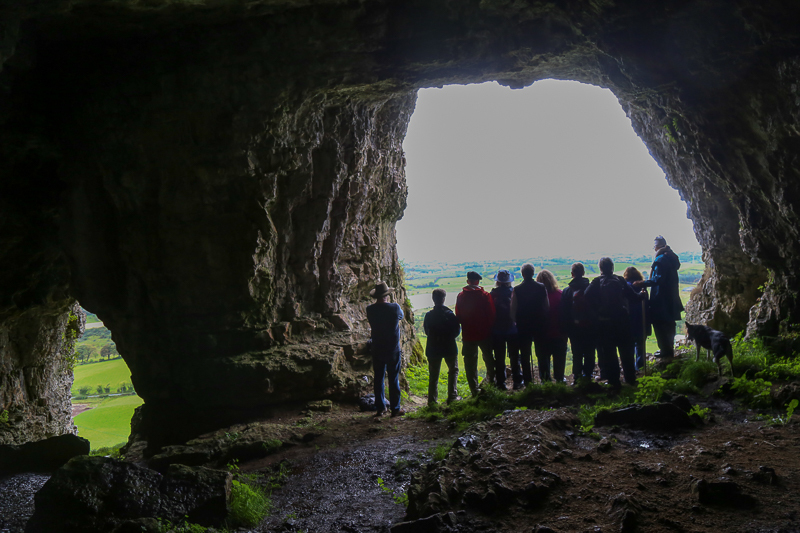 I like the tour because we could immerse ourselves in the magical atmosphere of Irish history, spirit, and belief: a combination deeply integrated and intertwined in the people’s character. This was the most wonderful, magical, mystical adventure I have been on. You, John, and everyone on the tour made this adventure so special. I also feel like I have nine new friends. With most of the mystical sites being off the beaten path, we had the places all to ourselves. If I didn’t have reservations already for Italy this fall, I’d sign up for your tour in September. I can’t stop talking about it to anyone that will listen …it was so special! Thank you so much for the video highlight of our trip. The Thin Places Tour was absolutely Magickal!! I have no favorite Thin Place because each place had a unique vibration, much like each one of us; and no location was better than the other. The Green-ness of the landscape with its hills, the bog, livestock and waterways are alive and are so giving of healing energy, much like the people of the land, there is no way that anyone of us could not have been blessed in just the right way. Every stone circle gave us a chance to walk into the womb of Mother Earth. The stones with their undersides buried deep in the Earth had a masculine energetic feeling of strength, security/protection and steadfastness, balanced with the feminine energy rising through each stone giving way for us to feel the pulsing of Mother Earth’s Heartbeat; what a privilege in this lifetime to experience this firsthand. Not only were the wells Holy…but so each of our Spirits and since there are no accidents and we are all connected in the web of life, I feel a special blessing in meeting each member. Mindie’s easy going nature and keen ability to share her knowledge of the country, coupled with her eagerness and excitement for us all to experience the energies made it easy to share what we felt; allowing us to experience the energies and interpret our own experience…Awesome! Michael did an elegant job of explaining things; and in a way, that I could FEEL…what had occurred previously, touching my heartstrings for the people of Ireland. Martin’s free Spirit was inspiring and I totally enjoyed his tour; and LOVED the banjo concert!!! Mara’s healing energy was apparent the moment she stepped onto the bus; thanks sooo much. Guy and Diane are inspirations in the love they share, coupled with their kind and helpful natures. Linda’s gentle nature is understandable; just as the gentleness of the sweet bunnies we came across. Oh and the wine was Great!! Kathy is grounded in her knowledge and I enjoyed her sharing tremendously; she has a grand eye for nature pictures…beautiful! Thanks!!!! Grant, a quiet, thoughtful Spirit, very in tune with the Earth Energies… So glad he went ahead of us to check things out; very helpful, just when you thought you would not make it back up the gravel hill…LOL Fern’s gentle nature and beautiful smile warmed my Spirit each day. Glad to have been with her on her birthday!! 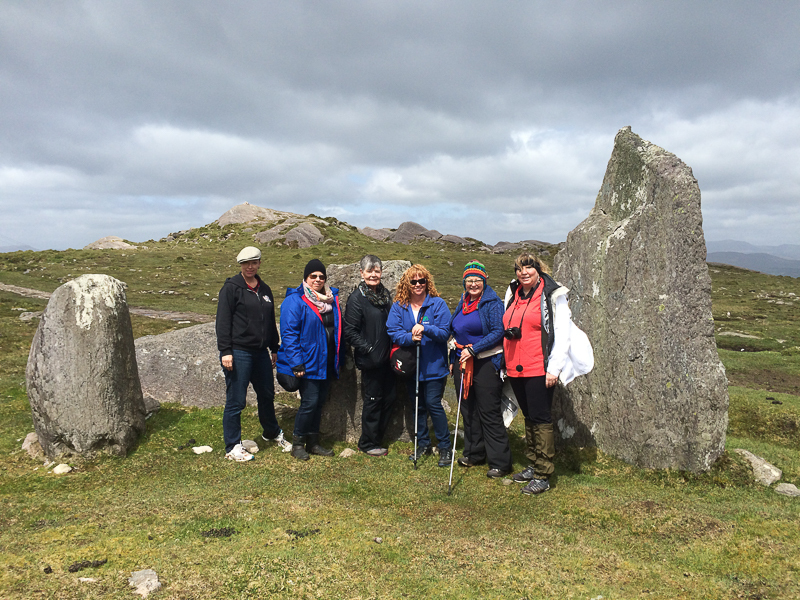 Claire and Sylvia, my own personal Earth Angels sharing the journey…Wheee!! We were 9 tour members…9 holds energy of attainment and completion, but renewal. We were 11 most days total…11 is the number of the Light within all; strengthened by the love of Peace, gentleness, sensitivity and insight with the awareness of Universal relationship. As with all healing energies, processing can be a bit disturbing until you come out on the other side…But it’s all in Divine Order…Thanks to all for sharing a bit of yourselves, I feel I have been truly blessed.